In the U.S., chemical manufacturers are subject to a host of government and industry regulations. The Environmental Protection Agency (EPA) governs spills, emissions and exposures to hazardous and toxic materials and substances. The Occupational Safety and Health Administration (OSHA) monitors worker health and safety in the workplace. The Department of Transportation (DOT) monitors storage, use and transport of materials. The Federal Drug Administration (FDA) regulates food ingredients that go into products. The Toxic Substances Control Act of 1976 also requires reporting and record-keeping from companies who manufacture, import, process or distribute chemical substances. 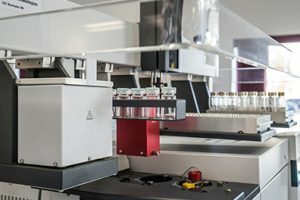 The ability to manage and track chemical inventories is becoming increasingly important to manufacturers. Products and substances need to be tracked through the entire supply chain, from suppliers to stores and down to customers. When dealing with planning and manufacturing, inventory accuracy is necessary to ensure all required raw materials are available to meet production dates with customers. ChemAid is part of the KDC family of companies and specializes in the custom formulation, manufacturing and filling of high quality skin care, hair care and bath and body treatment products. Quality is Chemaid’s guiding principle, from formulation through the final release of finished products. 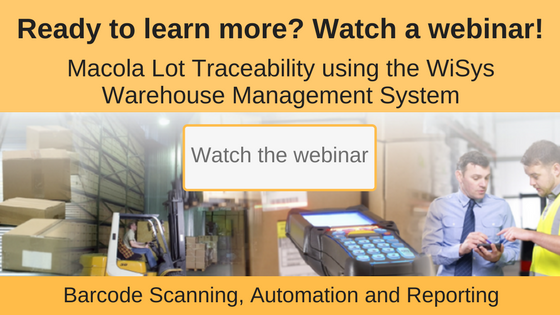 Chemaid uses the WiSys Warehouse Management System along with Macola Software to track products at the bin, serial, lot and LPN level. ChemAid has been using Macola software for 20 years. Before implementing WiSys, ChemAid never had their finished goods binned or lot numbered. In 2011, ChemAid chose to implement WiSys because the Warehouse Management System worked seamlessly with Macola and provided the real-time data and flexibility they wanted. Today, to ensure that their products comply with all recognized standards as well as customer specifications, ChemAid requires a specific level of container lot tracking. It is very important for them to know each individual containers’ license plate number (LPN) so they are able to track products throughout the production process and all the way down to stores and customers. ChemAid began using the WiSys cycle count application for Macola in 2012 to help them forgo a complete year end wall to wall physical inventory. WiSys helped them achieve this and avoid days of shut down time that normally would occur during a year end physical inventory. ChemAid also uses WiSys Agility reports to view variances prior to posting. This allows them to see problems, make adjustments and have one last review point prior to posting a batch. 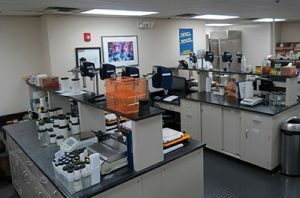 Learn more about the WiSys tools used by ChemAid.